is a professor and chair of sociology at Merrimack College in Massachusetts. His latest book is Death on Demand: Jack Kevorkian and the Right-to-Die Movement (2015). Social change usually happens slowly. It takes time for technology to advance, for social movements to generate momentum, for new policies to be developed, or for public opinion to shift. But sometimes individual activists can create change quickly. Such was the case with Dr Jack Kevorkian, who single-handedly initiated a national debate over assisted suicide. In 1990, the aid-in-dying movement in the United States was more than 50 years old and included a number of formal advocacy organisations. Yet it had failed to hold the public’s attention for any sustained period of time, even with early support from the likes of Helen Keller and Jack London. That all changed in June 1990 when Kevorkian helped the Alzheimer’s patient Janet Adkins end her life in the back of his Volkswagen camper. Overnight, the retired pathologist was thrust into the national spotlight. Was he a defender of dying with dignity or a cold, clinical killer? Kevorkian conducted more than 100 assisted suicides in the 1990s, landing in four highly publicised criminal trials. That is, he spent the entire decade as a celebrity activist, one who would leave an indelible mark on the culture while sowing the seeds of social change. Terms such as Kevorkianesque and Kevorkian pact entered the lexicon. The doctor and his Mercitron, or ‘suicide machine’, were referenced on countless Top 10 lists on Late Night with David Letterman. Kurt Vonnegut published God Bless You, Dr Kevorkian in 1999. An award-winning 2010 biopic starred Al Pacino. A restaurant in Toronto even serves the ‘Big Kevorkian’, a burger that boasts a day’s worth of fat and salt. Yet many continue to minimise Kevorkian’s influence on the aid-in-dying movement, dismissing him as a simple rogue activist or an attention-seeking zealot. His antics, both public and private, contributed to that characterisation, as did his penchant for leaving his patients’ bodies at the coroner’s office or in motel rooms. But the primary reason for observers’ disregard of Kevorkian’s crucial role in the aid-in-dying movement is more subtle. It’s not that they disliked him. It’s that they couldn’t categorise him. Scholars and media pundits alike tend to celebrate (or criticise) movement leaders affiliated with formal organisations – think Cesar Chavez and the National Farm Workers Association, for example, or Betty Friedan and the National Organization for Women, or Dr Martin Luther King, Jr and the Southern Christian Leadership Conference. Kevorkian, by contrast, never belonged to any aid-in-dying organisation, and his relationship to those organisations’ leaders was oppositional, to put it mildly. Operating outside of organisational constraints, he proved an enigma to those who sought to understand him or worse, control him. 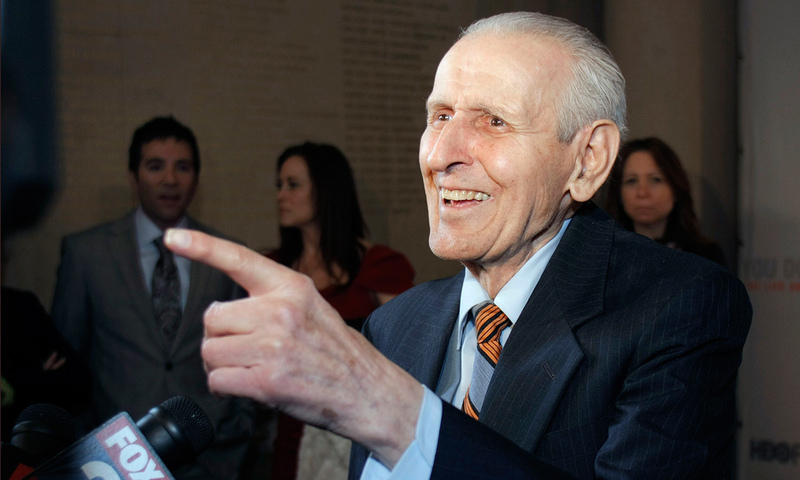 Kevorkian’s role as a maverick was crucial to his success in bringing about change. Standing apart from the movement’s formal leaders enabled him to use tactics unavailable to them, since they were bound by organisational and political concerns. Kevorkian had none. Whether arriving at court in a revolutionary-era costume or publicly chiding and insulting those who opposed him – including the American Medical Association, the Catholic Church, and innumerable politicians and prosecutors – he commanded the public’s attention but answered to no one. The aid-in-dying movement’s ‘loose cannon’, as he was frequently described, was therefore able to impact the culture in a way that formal leaders and their organisations were unable to. It is doubtful that a burger will be named after the Hemlock Society in the US; no movie will be made about its founder Derek Humphry’s life. Kevorkian’s impeccable professional credentials, his personal proclivities for publicity, and his asceticism also contributed to his success as a lone activist. He was a licensed medical doctor with an impressive record of publication in scholarly journals. The son of Armenian immigrants, he had served in the US army, including a tour of duty in Korea in 1954-55. He rented a sparse apartment above a flower shop in Royal Oak, Michigan. In courtroom testimony and television interviews, he came off as an articulate and reasonable, if occasionally ill-tempered, grandfather figure. His selflessness was best illustrated by the fact that he never accepted payment from his patients. It was Kevorkian’s independence from aid-in-dying organisations and their leaders that enabled him to press harder than anyone else in the history of the movement – on politicians, on legal authorities, on the medical establishment, on religious opponents, and on the public. What resonated with people was pictures of Kevorkian and his ‘Mercitron’, it was the doctor’s face on the cover of Time magazine, it was his hunger strikes in jail. Kevorkian’s mass-mediated spectacles, much more than aid-in-dying organisations’ theoretically sophisticated arguments, appealed to the public and forced the social, political and cultural change that had eluded the movement for so long. Kevorkian’s success can be clearly seen in the movement’s unprecedented legislative gains and in the growing public support of aid-in-dying. Between 2008 and 2014, four states joined Oregon – where assisted suicide has been legal since 1997 – in allowing terminally ill patients to seek help in dying. This June, a law allowing aid-in-dying will take effect in California. More than a dozen other states are currently considering similar bills. With nearly 70 per cent of Americans approving of the practice, public support is at its highest level in more than a decade. In 2014, the highly publicised decision of Brittany Maynard, aged 29 with terminal brain cancer, to move from California to Oregon in order to end her life was the latest example of a roughly 25-year national trend toward greater control over the circumstances of one’s death. Kevorkian kick-started the trend in the back of his camper on that chilly, overcast spring morning in 1990. In so doing, he reminded us of the potential power of a single, determined activist to bring about social change. There can be no doubt that ‘Dr Death’ still matters.